With the school holidays here once again there’ll probably be plenty of mums and dads who’ll be looking for things to do during half term in Solihull. 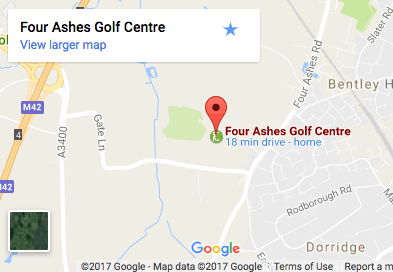 While we’d love you to visit Four Ashes Golf Centre every day with our adventure golf, driving range and coffee shop we know that there’s plenty of other things for families to do in the school holidays. As we prepare for another bank holiday of glorious weather, we all hope that the sunny weather will carry on for the rest of the week and with that in mind we have recommended five things for families to do in Solihull in the school holidays. Well, we’re obviously going start here but there is plenty to do for families with children of all ages here. Our adventure golf course is great fun for everyone and even the most dedicated golfer can come unstuck on this course. We often see the kids beat the parents and don’t be surprised to see the youngest player get a hole in one too! We have plenty of opportunities for winning a return visit too with our Selfie At The Seventh and Shot Of The Month campaigns on social media too. If you’re looking to practice or perfect your swing then a session on the driving range is the perfect treatment. A bucket or two of balls will help to get that swing going and it can be a great stress reliever too. A visit to our Midlands Golf Superstore will provide you with the widest choice of clubs, clothing and accessories while Club Class Golf Repairs will take a look at any clubs that need fixing. After all of that, you can relax in our café and bar and enjoy a drink or a meal in peaceful surroundings. If the weather is baking then you might want to cool down at Solihull Ice Rink. Great fun for all the family (if only to see dad falling over on the ice), it’s a great option for something to do during the school holidays. The family Friday session is great if you have different levels and abilities in your family but if you really are a novice then there are lessons available for all abilities too. 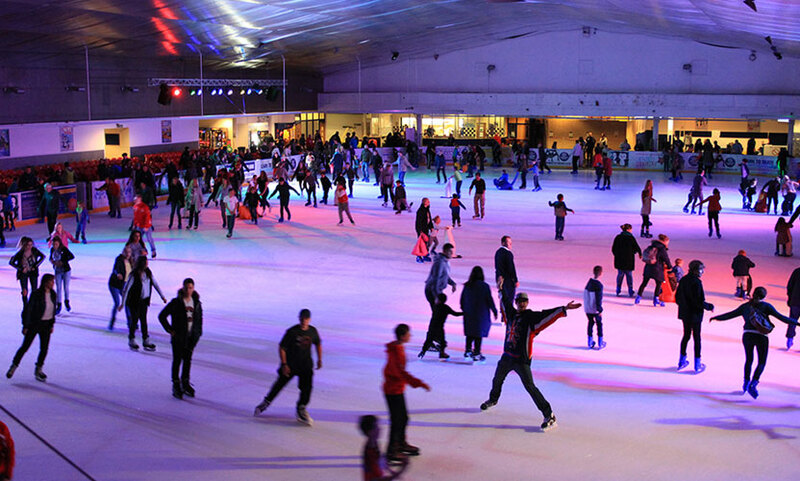 Weekends also offer an ice disco where the DJ will play all your favourite tunes as you skate around the ice. The café also serves snacks and drinks for when you need a rest. For more information visit their website here. Located just off junction 6 of the M42, the National Motorcycle Museum is recognised as the largest British motorcycle museum in the world. There are over 1000 motorbikes from more than 170 manufacturers from a collection spanning all the way back to the 1890s. From classic brands like Triumph and Norton some more obscure manufacturers, the museum offers a unique insight into the history of the motorbike. Five display halls are regularly refreshed and updated to show off the huge collection of motorbikes that the museum has with machines regularly sent to and taken out of storage to make it an ever-changing display. There are also temporary themed exhibitions from time to time making it worth checking back when you’re looking for family things to do. To find out more about the National Motorcycle Museum, visit their website here. If the weather continues to be nice and hot then a day out at the farm could be a great option. When thinking about a day out with the kids, Umberslade Farm Park offers plenty of things to for kids of all ages. For those who want to get back to nature, there are plenty of opportunities to get involved with the animals. From feeding lambs to holding chicks and rabbits, kids (and adults) can discover their inner farmer. The tractor and trailer ride gives you a chance to see the farm on a mini-tour and there are adventure play areas designed for kids of different ages to keep everyone occupied. Depending on when you go there are also seasonal activity programmes relating to the time of year that children can get involved in. There is also an on-site café but picnics can be taken too if you want to eat al fresco. For more details on what Umberslade Farm Park has to offer, click here. This National Trust property is a great option for families looking for things to do in Solihull this half term. If the weather is good then the extensive grounds offer plenty for families with kids of all ages. Whether it’s a picnic or a game of cricket there is lots of room to do what you want to do and with a nature trail with a maze and the chance to go pond dipping too, the kids will never get bored. The main house offers lots of opportunities for exploring too and there is a free children’s guide to keeping them entertained as you take in the 500-year history. Half-term usually sees activities and events taking place at Baddesley Clinton too so be prepared for some surprises too. 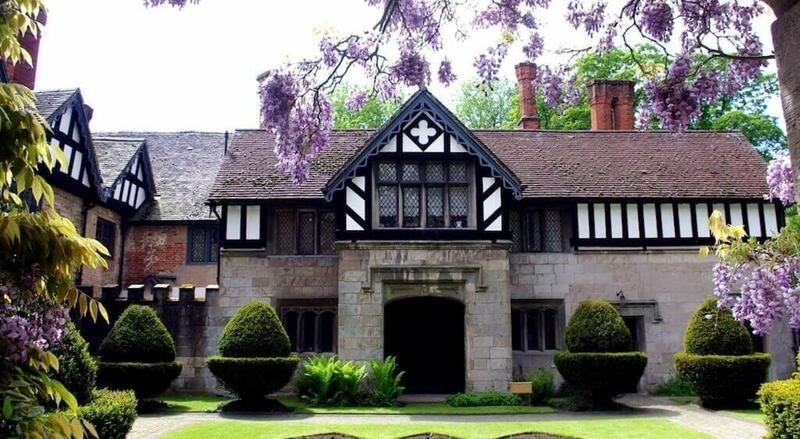 To find out more about family activities at Baddesley Clinton visit the website here. So there are five options for family things to do in the school holidays. We’d love to see you here at Four Ashes Golf Centre even if it’s for a couple of trips during half-term but there’s no excuse for the kids to be bored with all these options. Whatever you end up doing during the school holidays, have a great time and we hope to see you soon.